It’s not uncommon for an artist to attend a school in pursuit of a specific mentor. For the composer Ayn Inserto, that school was New England Conservatory, the mentor, Bob Brookmeyer. Inserto had solid training behind her already — at Cal State Hayward, not far from her family’s East Bay home, with the esteemed trombonist, bandleader, and educator Dave Eshelman. But she wanted to take her work to the next level, and for jazz composition, Brookmeyer — whose students have included Maria Schneider, John Hollenbeck, and Darcy James Argue — was the man. When the Ayn Inserto Jazz Orchestra crams into the tiny Lily Pad in Cambridge on Monday night, the show will probably include work from Inserto’s latest CD, “Home Away From Home: Colours Jazz Orchestra Plays the Music of Ayn Inserto,” recorded in 2013 with the Italian band of the title. But the centerpiece will be the Boston premiere of “Ze Teach and Me,” dedicated to Brookmeyer. “The first movement is about Bob, and the second movement is me,” says Inserto. “Ze Teach,” she explains, was Brookmeyer’s sign-off in e-mails. 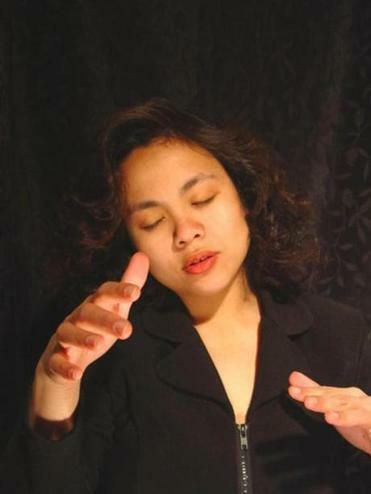 Inserto, now a professor of composition at Berklee, studied with Brookmeyer as she was earning her master’s degree at NEC in 1999-2001. She continued studying with him informally until his death in 2011. Her 2006 debut CD, “Clairvoyance,” featured Brookmeyer as a trombone soloist. Inserto steers away from conventional jazz arrangements in which a series of soloists improvise over the same short tune. Instead, a soloist improvises over a continually unfolding narrative. Inserto laughs as she says that she likes to “end with something simple — we put the band through enough torture.” Thus the salsa romp “Subo” that ends “Home Away From Home.” She also likes to cook, so there’s always food at Inserto rehearsals. A couple of provocative duo performances are on tap this week at the Lily Pad (617-955-7729, www.lilypadinman.com). On Friday night, composer and saxophonist Ingrid Laubrock and her husband, drummer Tom Rainey, celebrate the release of their free-improv set “And Other Desert Towns.” Then on Tuesday, singer Kristin Slipp and trumpeter Joe Moffett, as Twins of El Dorado, open for solo baritone saxophone-and-synthesizer man Jonah Parzen-Johnson. . . . Latter-day bluesy chanteuse Madeleine Peyroux plays Berklee Performance Center on Sunday (617-266-7455, www.berklee.edu). . . . On Wednesday, trumpeter Brian Carpenter’s Ghost Train Orchestra celebrates the release of its new “Hot Town” CD with reimaginings of pre-swing jazz from the likes of Fess Williams (and his Royal Flush Orchestra), Charlie Johnson, and Tiny Parham, as part of the MFA’s summer series in the Calderwood Courtyard (800-440-6975, www.mfa.org). . . . On July 26, singer Nnenna Freelon headlines the second annual Cambridge Jazz Festival on a bill that also includes drummer Ron Savage and his trio, pianist JoAnne Brackeen, percussionist-bandleader Eguie Castrillo, pianist Laszlo Gardony, and the Tóth Brothers. That’s at University Park Commons, Sydney Street, on the MIT campus, noon to 6 p.m., and it’s free (617-945-8052, www.cambridgejazzfestival.org).